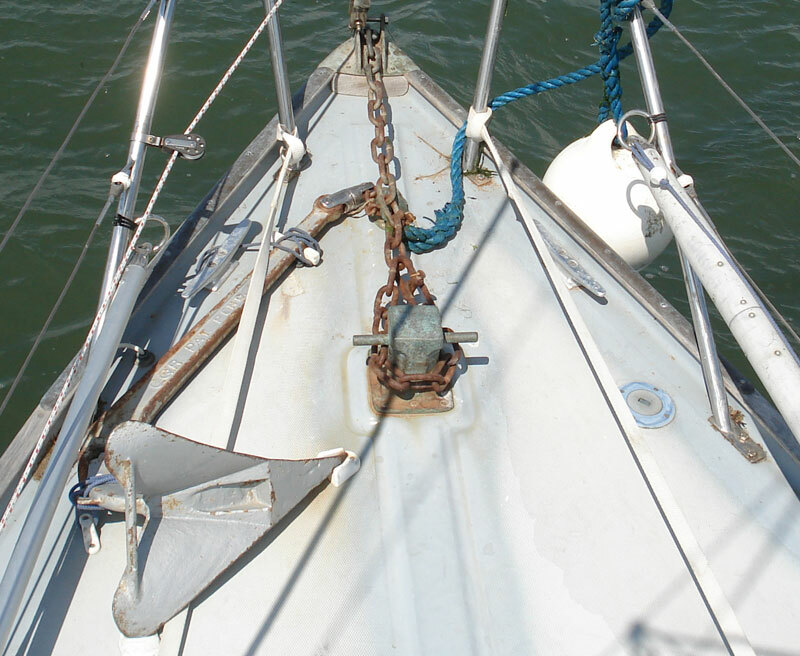 Lottie normally carries three anchors but mostly uses this 25lb CQR on its 90 feet of quarter inch chain. In addition she has a 15lb Danforth-style spade anchor and a 7kg Bruce for use as kedge anchors. 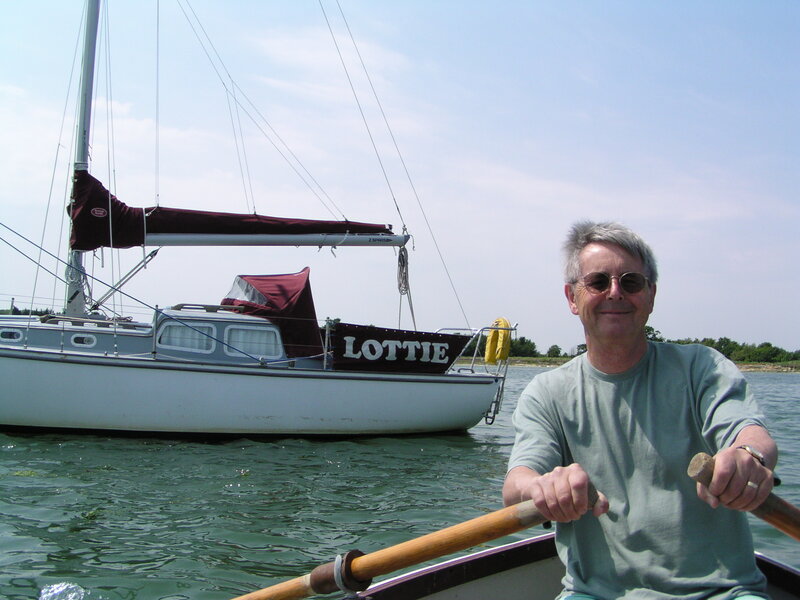 Lottie is still equipped with her original bottom-handled Tuphwinch sheet winches. 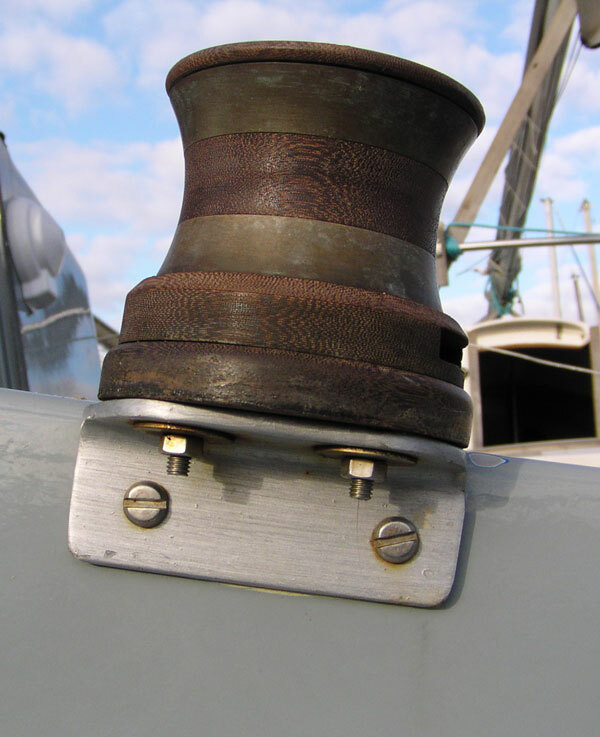 these are currently mounted on stainless brackets pending the refitting of her original teak winch pods. New handles were sourced from Barton Marine. 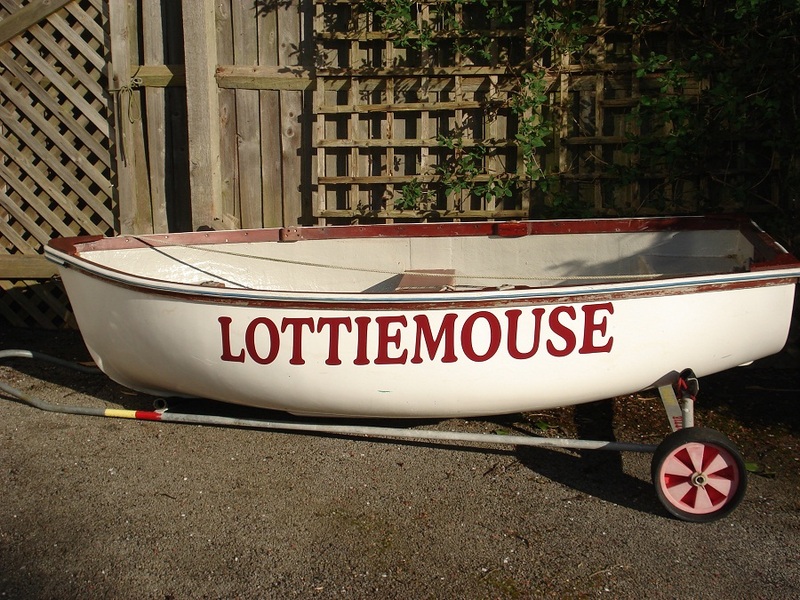 As Lottie lives on a swinging mooring, we keep Lottiemouse, our grp dinghy, at Dell Quay and usually tow it when we are not going far afield. For longer cruises when we don’t want a dinghy trailing behind we have the Avon Redstart we bought over 30 years ago and still going strong.